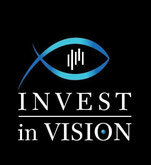 Tools and strategy - De website van invest-in-vision-blog! Multiple Timeframe Trading to me, is to see the connextion between several different timeframes. I use the 3', the 60', the Daily and the Monthly. There is a mathematical reason for that. Every bigger frame is x 20 the smaller one. That means, a 60' candle is formed by 20 x 3' candles. A daily candle is formed by about 20 x 60' candles and a monthly candle is formed by 20 tradingdays. Knowing that the bigger frames always overrules the smaller ones gives a lot of opportunities to trade anticipated by using sma's, support and resistancelevels and supply and demandzones. I am sorry but, you need to practise several years to feel and to understand this connection. It is my mission to help you to succeed. Start today and visit my Free tradingroom to learn more about our strategy.